Microsoft releases Bing Ads for Android. Microsoft today announce the availability of Bing Ads for Android. 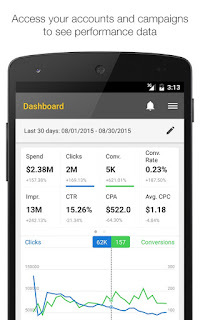 Bing Ads for Android is a great way to manage your campaigns while you're on the go. The app currently available in English via the Google Play Store for devices running Android 4.0 or later. 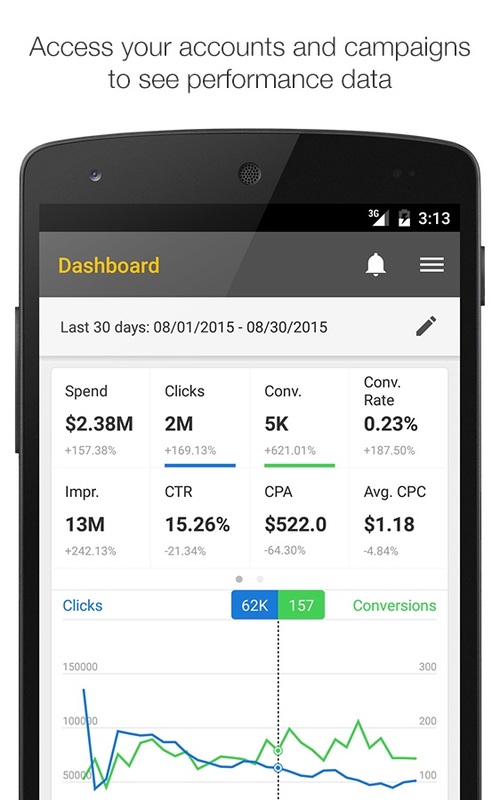 Bing Ads for Android helps you stay on top of your Bing Ads campaigns while you're on the go. It has information such as performance of accounts, campaigns, ad groups, ads and keywords. With the app, it's also possible to monitor multiple performance metrics at the same time, edit budgets and bids, and receive critical alerts, such as notice of an expiring credit card.